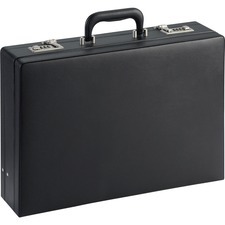 Sturdy Attache Case expands a full inch, from 4" to 5", to provide added space when needed. Dual combination locks offer security for your important papers. 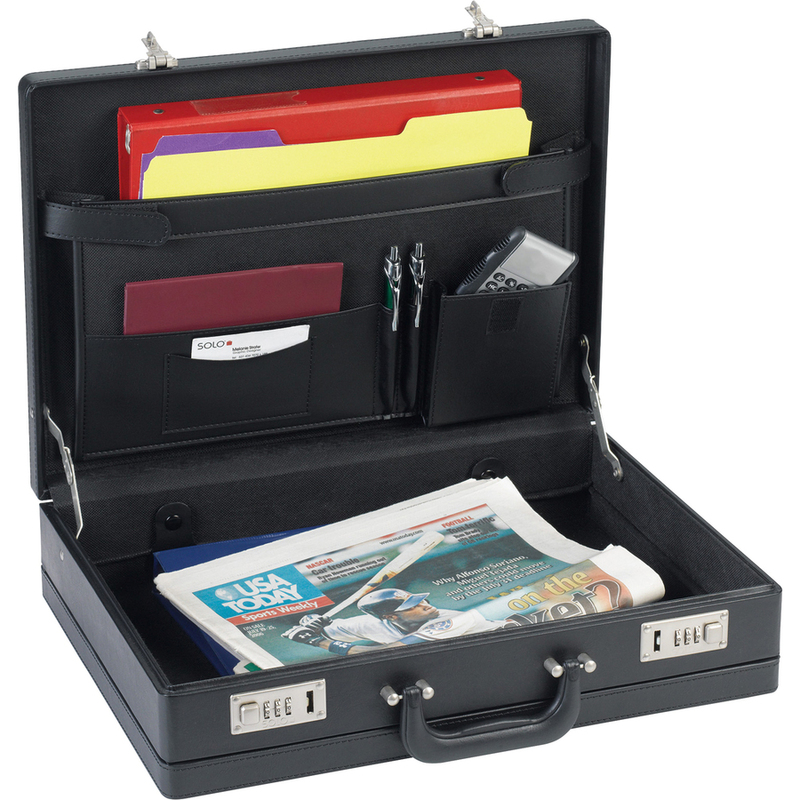 Attache includes a full organizer and a file pocket for easy access to needed business tools. 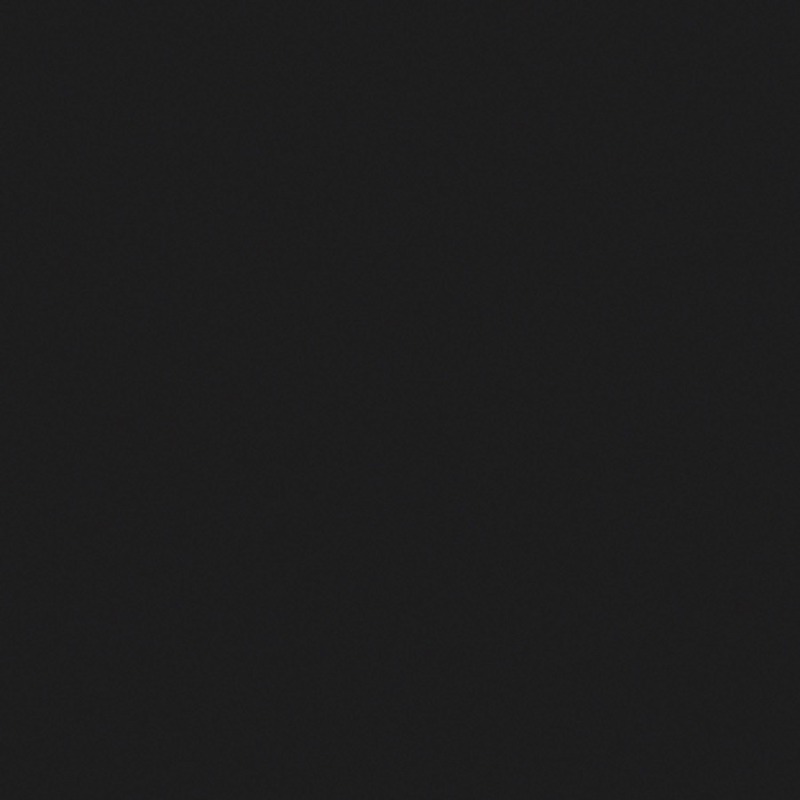 Case is made of durable vinyl.